Desigual’s NYFW Spring/Summer 2018 Show, Artistically Directed by Jean-Paul Goude, Presents a Collection Inspired by Jungles Both Literal and Metaphorical—Highlighting Diversity, Optimism, Vitality and Individuality. Barcelona, Spain and New York City, NY, USA. - On September 7, 2017, Desigual unveiled its Spring/Summer 2018 show at New York Fashion Week. It marked Jean-Paul Goude’s first step as Artistic Director of the brand (his appointment was made public last month). 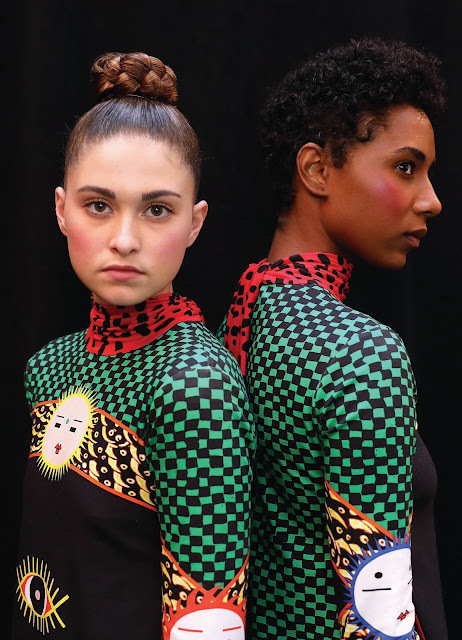 Goude was tasked with creating a presentation that would bring both bold novelty and unique appeal to complement Desigual’s long-established DNA, which celebrates optimism and individuality. Attendees of Desigual’s NYFW show included: Macarena García, Marianne Mirage, Janina Uhse, Dulceida, Mary Charteris, Coco Dávez, Sarah Feingold, Stefanie Giesinger, Marcus Butler, Armela Jakova, Leni Paperboats, Maria Bernard, Sabina Socol, The Petticoat, Ambra Vernuccio, Sandra Semburg, Acielle, Roberto Ruiz, Paola Mathé, Cipriana Quann, TK Quann, Inez & Vinoodh, Azealia Banks, A$AP Ferg, Tinashe, Slick Rick, Justine Skye, Yolanda Hadid, Will Peltz,Vanessa Friedman, Jessica Grace Smith and RJ King. Additionally, the Spring/Summer 2018 Desigual show was live-streamed to over a million viewers via social media and on desigual.com. The stream featured feeds from 16 cameras, and was shared in real time on Instagram, as well.